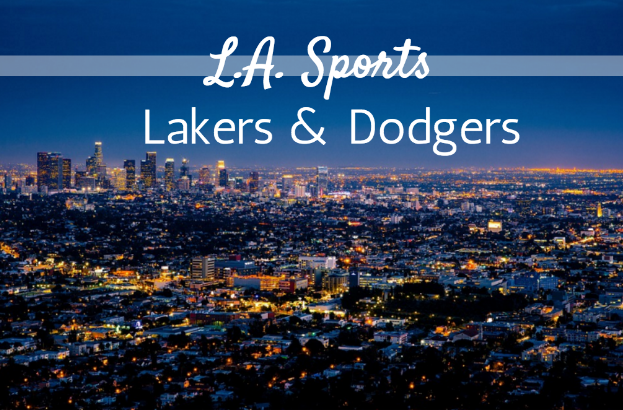 Whether you are a basketball fan, football fan, baseball fan or hockey fan, there is something in LA just for you. Home to some different sports teams from the Los Angeles Lakers to the Los Angeles Kings, if you are a sports fan, chances are, there is always a game that you can catch. Here are some upcoming games to enjoy. With baseball season well underway, a trip to Dodgers stadium should be right at the top of the list. This classic LA pastime should be experienced by both locals and visitors alike. If you’re going to go to a game, here are a few things to consider. If you purchase your ticket online in advance, parking is only $10 compared to $20 when you buy at the gate. The stadium also now allows Uber cars to enter the stadium via the Elysian Park entrance so you can consider getting to the park that way. Once inside, grabbing a Dodger dog is one of the best ways to enjoy a game and what better way to enjoy a dodge dog than with a cold brew. Instead of sticking to the light beers, head to the lodge level where you can get local favorites such as Golden Road, Eagle Rock Brewing, El Segundo and more. Catch an upcoming Dodgers game on Sunday, April 16th when they take on the Arizona Diamondbacks. If you can’t catch that game, don’t worry because there are a few more home games that week. Monday through Wednesday, April 17th through 19th the Dodgers will play at 7:10 pm each night against the Diamondbacks or the Colorado Rockies. After being on the road for a few games, the Dodgers will once again be back at their home turf on Friday, April 28th when they take on the Phillies at 7:10 pm. Visit http://m.dodgers.mlb.com/schedule/ for their entire schedule. The LA Athletic Club is a well known athletic club LA. Book a room at the hotel when attending one of these sports games.